Celebrating over fifty years of ministry, Dr. Hilton Sutton presents the prophecies of the scripture in an edifying manner, free from doom, gloom and speculation. He dismisses commonly taught but unbiblical eschatological themes, such as imminent economic collapse, a coming one-world government ruled by a world dictator, and a great falling away. Instead he clearly demonstrates that the Bible foretells prosperity throughout the closing hours of this age, and the greatest harvest of souls ever by the glorious victorious army of God, the Church; a harvest that, after the Rapture of the Church, will continue to grow throughout the seven years of Tribulation until we return with Jesus and all the saints to establish the first and only world government, the one thousand year reign of our Lord. Dr. Sutton is one of the world's foremost authorities on the prophetic scriptures, including the Book of Revelation. He is in great demand as a speaker for churches, Bible colleges, national and international conventions and for radio and television audiences in the United States, Canada, and around the World. He teaches Bible Prophecy without doom, gloom, or speculation in an edifying way that inspires victory, joy, peace, and hope, and sets believers free from unscriptural fear of the future. He currently has a weekly television show, "Bible Prophecy Unraveled," on LeSEA Broadcasting Network (www.lesea.com) that reaches the entire world. He has personally addressed the Joint Chiefs of Staff of the United States Military, the Israeli Knesset and the Israeli Foreign Ministry. He is acquainted with past Israeli Prime Minister Benjamin Netanyahu, and his personal friends include past Israeli Prime Ministers Shimon Peres, Yitzak Shamir, and the late Yitzak Rabin and Menachem Begin. 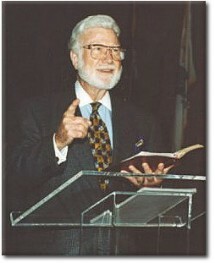 His books, audio and video tapes have blessed and edified tens of thousands of people in many nations. Hilton's fourteen-hour study of the Book of Revelation available on audio cassette, CD, or DVD with an accompanying syllabus makes this vitally important book a pleasure to study and simple to understand. Dr. Sutton has authored more than fifteen books, including a verse-by-verse study of the Book of Revelation entitled, "Revelation Revealed." New titles include "The Antichrist," "Discovering Ancient Prophecies," and "The Next Resurrection." Hilton's over a half century of study and preaching the prophecies of the Scripture qualify him as the senior prophetic teacher of our day.